Super X-Fi™ is a new renaissance in headphone audio; a technology where the science of sound brings the human listening experience with headphones to a whole new enlightened level of realism. Imagine a home theatre system using your current head phones? Yes its possible. Every person is unique so why should music be any different. Why settle for canned sound? We can’t beat nature – a person only has two ears. It’s all a person needs to hear sound in its natural multi-dimensional form. And because we all perceive sound uniquely based on the uniqueness of our anatomical dimensions, headphone audio should be customized to fit each person, where what we hear sounds exactly the way it should. Imagine capturing the listening experience of a high-end multi-speaker system in a studio and actually re-creating that same expansive experience – the same depth, detail, soundstage, three dimensionality, immersiveness and realism. 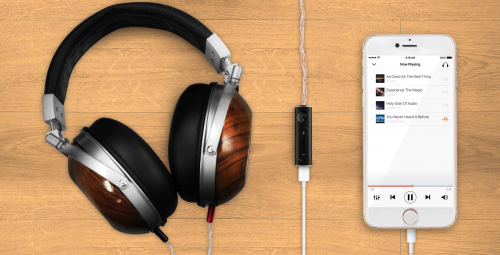 It’s like the magic of 3D holography, but in audio – for the headphones. The quest for this holy grail of audio has involved many man-years of research, massive data analysis of room acoustics, human anthropometry, and headphone dynamics. Super X-Fi™ is a computationally intensive and algorithmically complex technology. We custom fit audio to the individual by the advanced Head and Ear Mapping of each person by using real-time image detection and analysis from the camera on a mobile phone. This technique maps hundreds of anthropological features in high-precision. An artificial intelligence (AI) engine then extracts these features and merges it with the mapping of the acoustics of a three dimensional space to personalize sound just for you. To realize this technology, a custom SOC (system-on-chip) was designed. 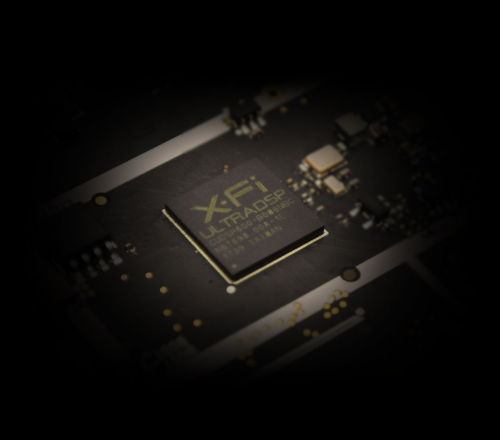 This culminated in the Superthreaded Floating Point X-Fi UltraDSP SOC, packing 5 times more computing and digital signal processing power than Creative’s most powerful Sound Blaster chip while consuming less than half the power. This SOC is highly integrated with megabytes of fast memory so it can decode and process 8 channels of high resolution 24 bit 96KHz audio simultaneously and play them through its integrated audiophile quality DACs, exceeding 100dB SNR (signal to noise ratio) of dynamic range. With this juxtaposition of technology, everything can be compacted into a form factor no larger than a finger. Forget the analog headphone jack – go with fully digital headphones with all the Super X-Fi™ goodness straight from your phone. And that’s not all, there’s an app for the phone that gives you a sample of the experience before the hardware solutions roll-out. Watch out for it!